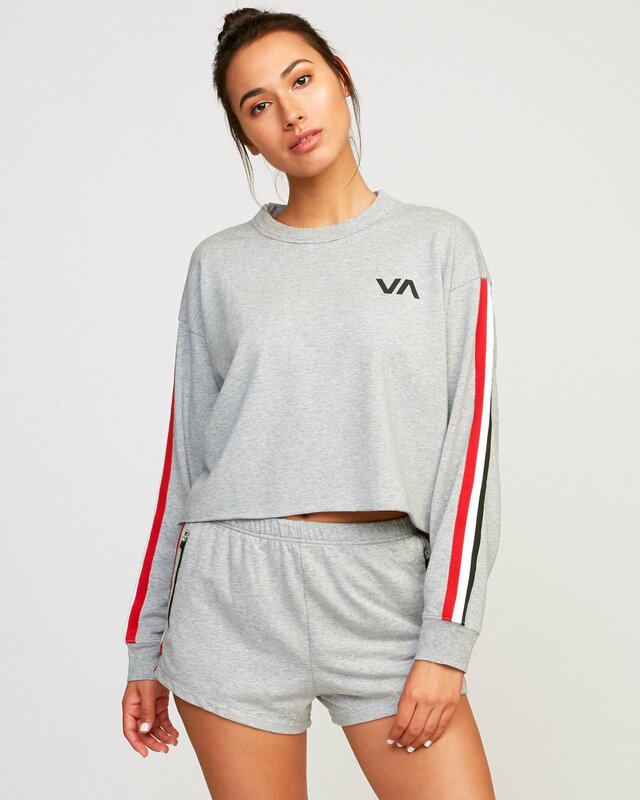 Retro athletic stripes and a cropped cut create a knockout combo in the RVCA Ringside Sweatshirt. 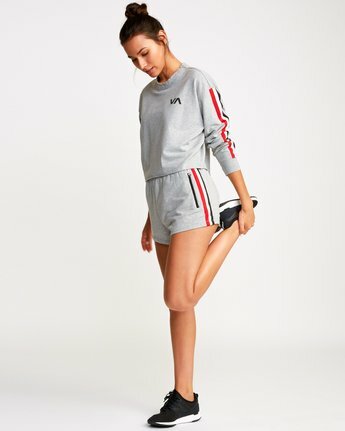 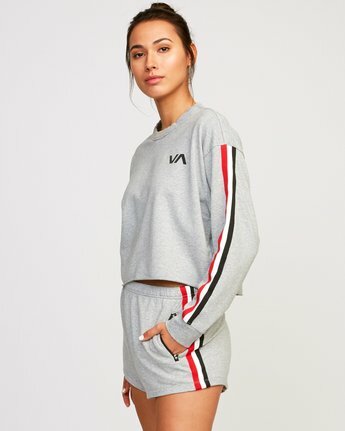 A play on a vintage cropped fleece, the 4-way stretch piece offers up vintage sporty vibes for the win. A relaxed fit is accented with a VA print at the left chest, a raw cut-off hemline and bold taping at the sleeves.